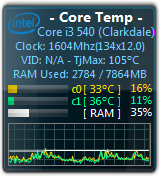 You can also avoid overheating by under-clocking your CPU. This will protect your laptop from damaging over time. If you follow the instructions carefully and successfully manage to reboot your system, do the following to maintain your laptop is working order. Don’t use the laptop for gaming or watching movies. This will heat up the graphics chip significantly, which will again eventually detach from the motherboard, leaving you with the same problem. Also try to keep down the ambient temperature in your office or computer room, especially during the summer months. 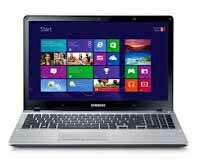 Of course, you can repeat the process to reactivate you laptop, and it may well work again, but why test fate? This will automatically monitor the temperatures of your CPU and GPU whenever the system is turned on, and will warn you if these chips get too hot. If you keep the temperatures down to around 60 degrees, the problem should not recur. However clean you keep the outside of your laptop, dust inevitably gets sucked into fans, crumbs fall into keyboards and fluff gets into vents. Make sure you keep all vents, and the fan assembly, clean and free of dust by regularly vacuuming them out, or using an air duster to blast out debris. 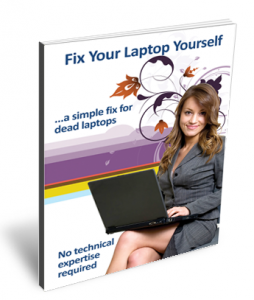 Fix Your Laptop Yourself demonstrates how you can extend your laptop’s life by cleaning the dust out of its fan and heat sink. Install TeamViewer as an autostart program on the laptop. If you again have video problems, this program allows you to access the laptop from a remote computer. TeamViewer is a popular piece of software used for Internet-based remote access and support. 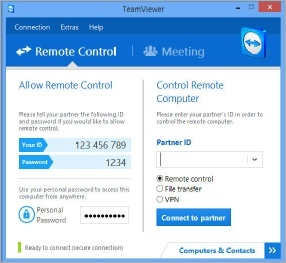 TeamViewer software can connect to any PC or server, so you can remote control your laptop as if you were sitting right in front of it. Teamviewer is also free, and can be downloaded from http://www.teamviewer.com. Yes, I know it’s a laptop, but if at all possible don’t move it around too much (especially when it is turned on). If you keep it in one place, perhaps used as a file server or backup system, you should extend its life span considerably. With our laptops overworked on a daily basis, often the built-in fans are insufficient to prevent overheating. One of the best ways to keep your laptop from overheating is with a laptop cooler. These can be easily used on your lap or a desk, and usually provide an extra fan or two that allows more air circulation to help keep the laptop cool and functional. 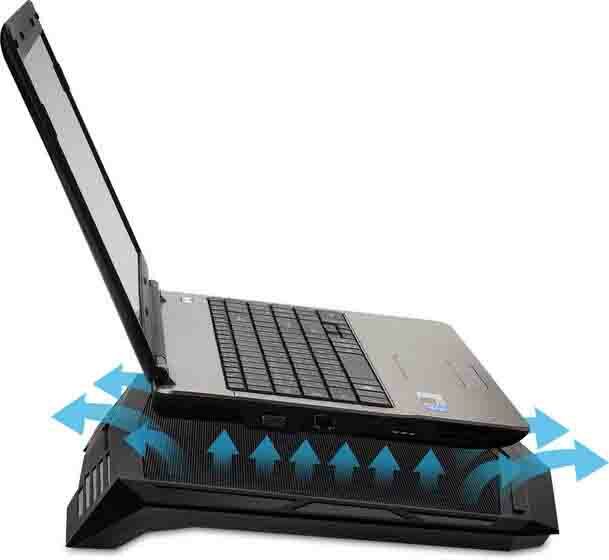 Use a laptop cooler to assist the inbuilt fan in keeping the internal temperature low. Take a look at Amazon’s #1 best selling Cooler Master. How else can I stop my laptop from overheating? There’s a lot you can do to prevent your laptop from overheating in the first place. Try the following, but bear in mind that some of these methods may not be compatible with your particular computer. 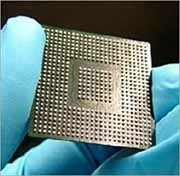 Underclocking involves lowering the speed of the CPU in order to lower the voltage going to it. When you lower the voltage it will then use less power and generate less heat. A recommended utility for underclocking your laptop is Throttlestop. If you have Core2Duo, you can try undervolting your laptop (this can also be done using Throttlestop). Be aware that if you accidentally overvolt your laptop, damage will result. You can try accessing the fan settings in your laptop’s BIOS. Strong fan settings are the most unobtrusive and effective remedy for overheating issues. This will drain your battery faster, but so would a USB-powered laptop cooler. There are many more, but these models are known to demonstrate the “blank screen”.